I'm participating for the first time in the One Room Challenge! 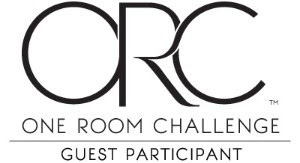 If you’re not familiar, every spring and fall, 20 featured designers are selected by the ORC team participate in a 6-week challenge to decorate one room. The event is hosted by Linda Weinstein of Calling it Home and Better Homes and Gardens. In addition to the featured designers, hundreds of other folks with blogs (and Instagram this season!) join in on the challenge as Guest Participants. And this year, I'm participating as a guest participant! 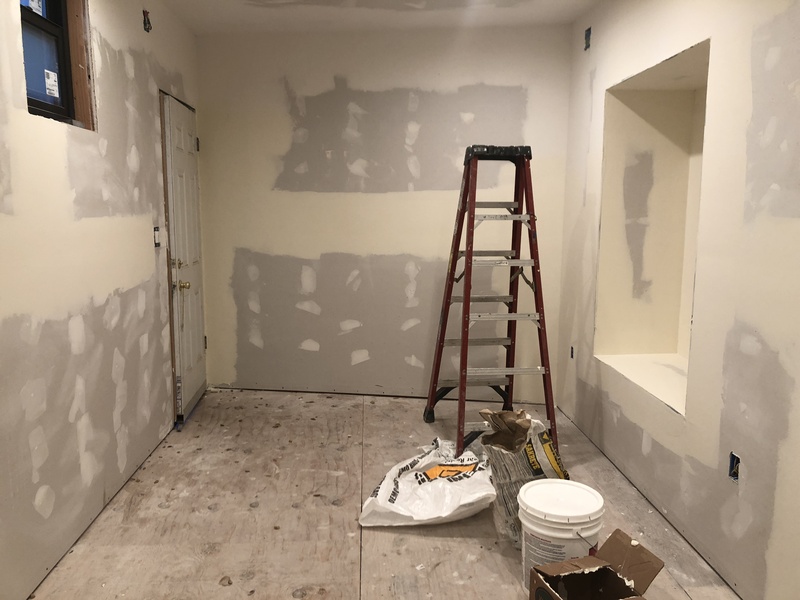 This is completely out of my comfort zone but I figured that it would be a fun challenge and with the drywall on my new home gym recently installed, I thought this could be my motivation to finally get it done. So let's discuss the space. 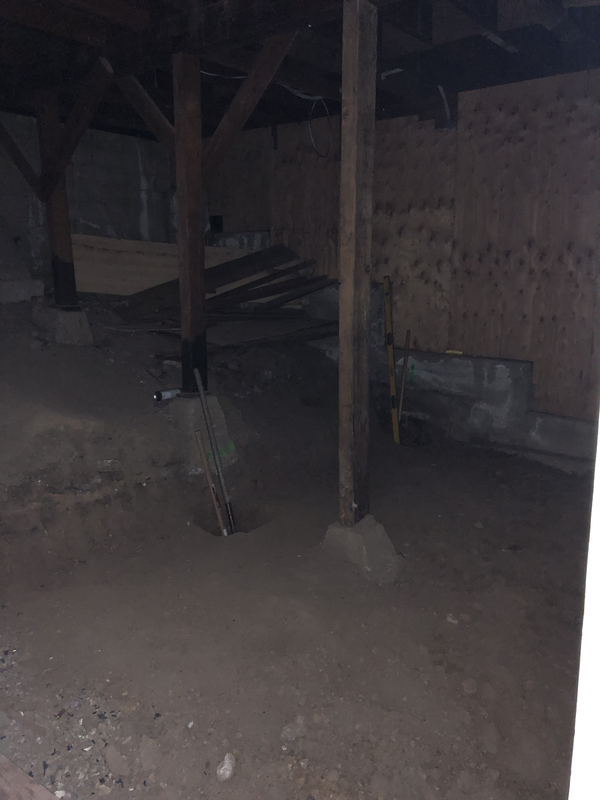 When we bought this house two years ago, there was a dungeon of a space underneath the garage that was large and dirt-filled. It's under dispute but someone (obviously the space planning queen, me) immediately thought that this would be a great place for a gym. During the main renovation, we unfortunately could not add a door directly into the house so there is an entrance off the side deck. But this room is literally four steps from the lower-level exit door to the side deck. 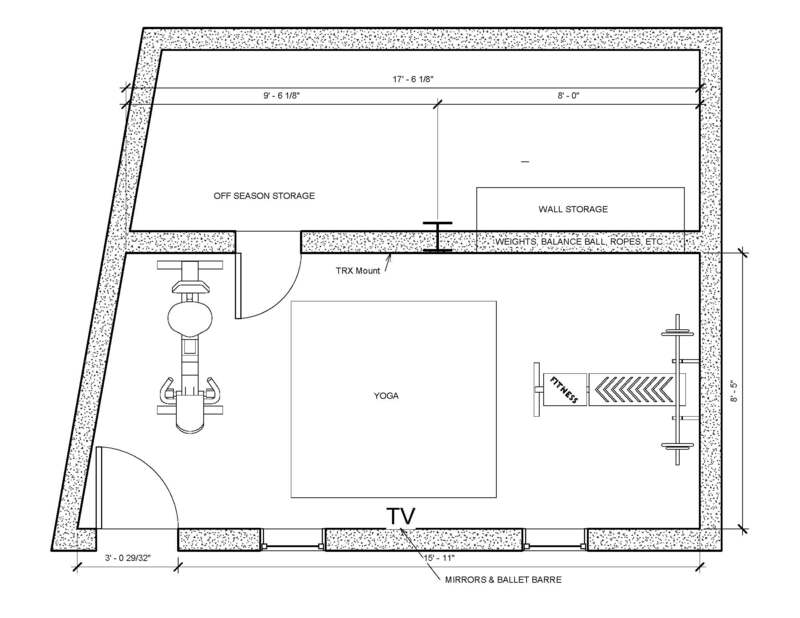 Here is the floorplan that I drafted before construction started (in addition to the plans drawn up by my architect for the new beam to open up the space). 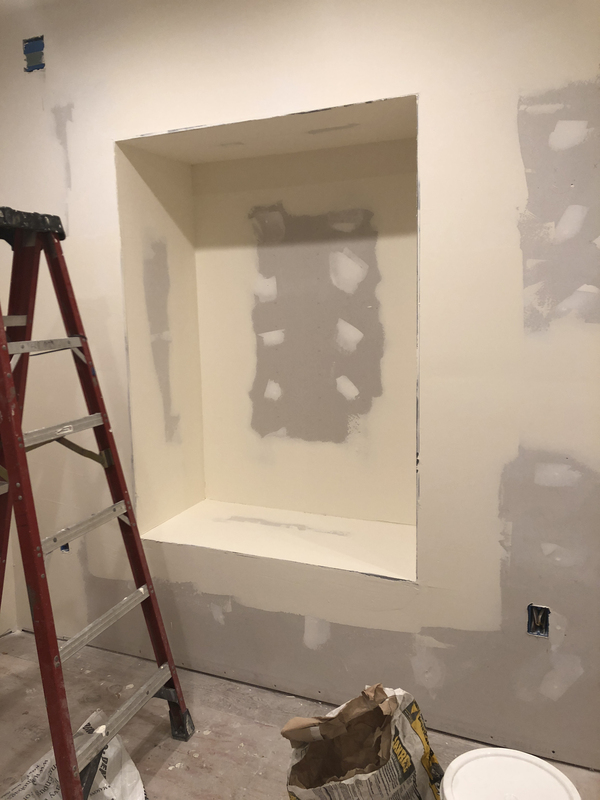 A few things changed (switched location of niche and storage door and lost a few inches after the beam went in), but now we have added a floor, new windows, and walls. 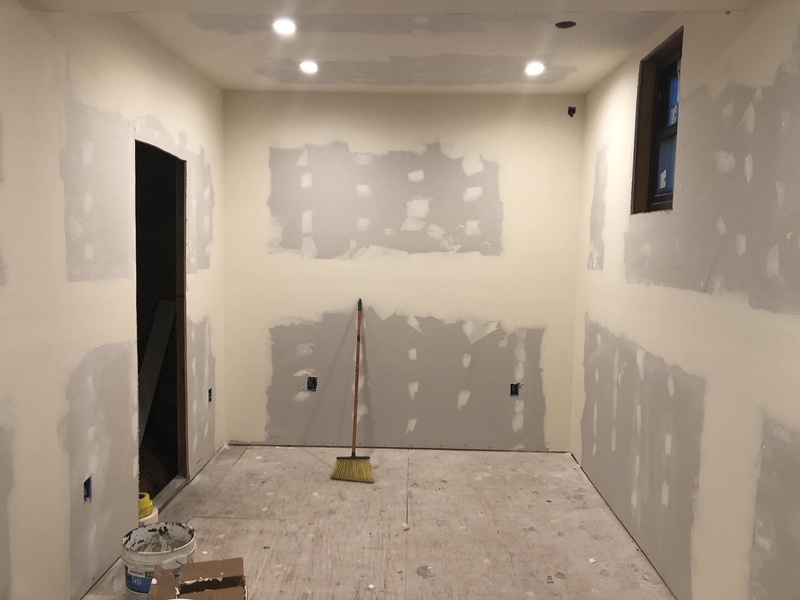 I'm hoping that the drywall will be finished and an HVAC register will be added, and that the entire space will be painted by next week. So far the electrical is finished and the new exterior door is added. That is incredibly ambitious since my crew is working on a client's site right now but I'm an eternally optimistic person (ha). 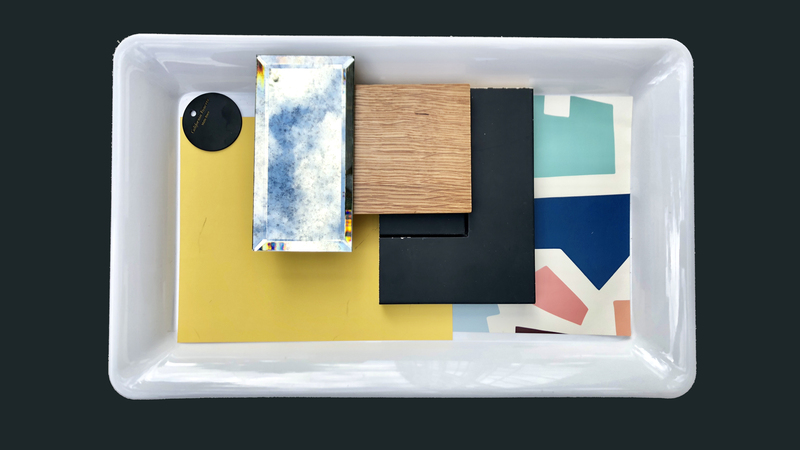 Here's a sneak peek at the colorful plan that we're trying to create in the next five weeks. Next week, we'll talk more about the actual design plans and then we'll discuss all the hi-tech items we're going to load into the space simply because I'm an early adopter and I like shiny things. Please follow along - I promise you wont' be disappointed!